Pakistan's army said on Friday authorities had arrested a group of Taliban militants responsible for shooting Malala Yousafzai, a teenage activist who was targeted for her campaign against Taliban efforts to deny girls education. 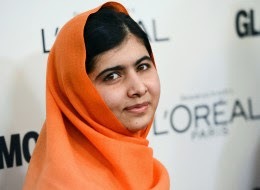 Pakistani Taliban militants have claimed responsibility for shooting Malala in 2012 for her passionate advocacy of women's right to education but no one had until now been arrested. Two other schoolgirls were wounded in the attack. Asim Bajwa, head of the army's press wing, told reporters that 10 attackers had been identified and arrested.